best compatibility and plenty of options to modify and personaloze your wii. Wii ModChips. Viper Wii. 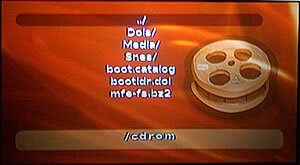 Copy Wii Disc to DVD-R backup. Wii Loader. A.K.A. In reply to a great letter from BH! Hello. 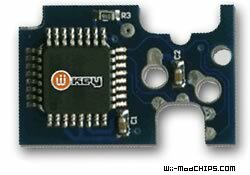 I have been reading and researching on your site the last couple of days, and just had a couple questions about the Nintendo Wii mod chip, the WiiKey. I see you guys are recommending this chip as pretty much, the best one out there. Before I decide to purchase one I just wanted to double check on a couple things. First off, when Nintendo starts pumping out online games, will these chips still work, even with back-ups with full online content? Also, I am seeing that there is a quick solder method with the WiiKey, I was just curious if you guys ship the wires with the chip just incase you prefer to use the wires? Also, is there any special upgrades you have to do after chipping the system to get it to play DVD movies? Also, KIND OF off topic, but Gamecube games can be burned onto regular size DVD-Roms and be played on the chipped Wii? I would appreciate any information you can provide me about this chip. I look forward to hearing from you. Keep up the good work on t he site! Will WiiKey mod chip work with Nintendo Wii ONLINE games? Is WiiKey supplied with the wires for installing it with wired method? Most stores sell the WiiKey without the wires as in most cases they are not required. 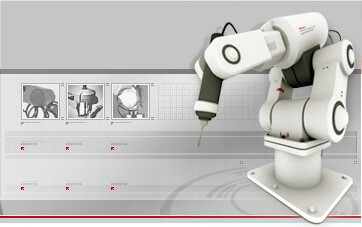 QuickSolder method is easier and if you don't intend to change the modchip to another later on it is preferred. Is there any special upgrades you have to do after chipping the system to get it to play DVD movies? No, the chips is up and running as soon as you have it installed. (Configuration is need for enabling Region override to play imported games PAL on NTSC and NTSC on PAL. )1st gen ModChips don't modify Wi OS and don't add new Channels so to play movies you have to use a GameCube homebrew application called MFE Mediaplayer that comes with the WiiKey Base Disc (disc used for configuring WiiKey options). MFE MediaPlayer runs a stripped down version of Linux on the Wii, but its navigation is easy and compatibility is great. Can GameCube games be burned onto regular size DVD-Roms and be played on the chipped Wii? Yes they can! No need for mini-DVD any more. And homebrew applications can use all the 4.7 GB of a DVD and are not limited to regular GC disc size. Do I need a GameCube controller for playing backup GC games on Wii? Yes - at this pint without Wii firmware modification there is no way to play GameCube games with Wiimote or Classic Controller. If this is what you were looking for head over to ConsoleSource.com or another Wii MOD retailer and get a modchip for your Wii! Wii Backups - it looks like we will need to wait until a wii modchip comes out before we can run backups on Nintendo Wii console. 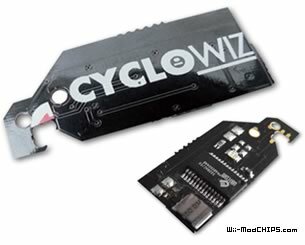 Latest Review WiiKey Wiinja CycloWiz, Wiikey, D2CKey review, Wiibuster, Wiip CycloWii modchip.